What I've been up to, November & December. I started my 2 month internship at Biscuiteers at the start of November and I really enjoyed my time there. I learnt so much and all of the people in the office were so lovely! It was really interesting to see how a company like this works. I took advantage of the crisp but sunny weather and explored London on my weekends off. One weekend I wondered around Sloane Square with my boyfriend. We popped in and out of the shops and I fell in love with most of the things in Brandy Melville and Anthropologie. We walked up towards Kensington as it was looking very festive, especially around the Natural History Museum and both got very excited for Christmas. I've always wanted to go ice-skating here as it looks so pretty, I just need to learn how to first! During November I was given the chance to go on the BB bakery bus as part of the Virgin experience days. It was a really fun way to see all of the tourist hot spots of London whilst having afternoon tea. Other bloggers attended the afternoon so it was great to meet some new people, the cakes weren't too bad either! 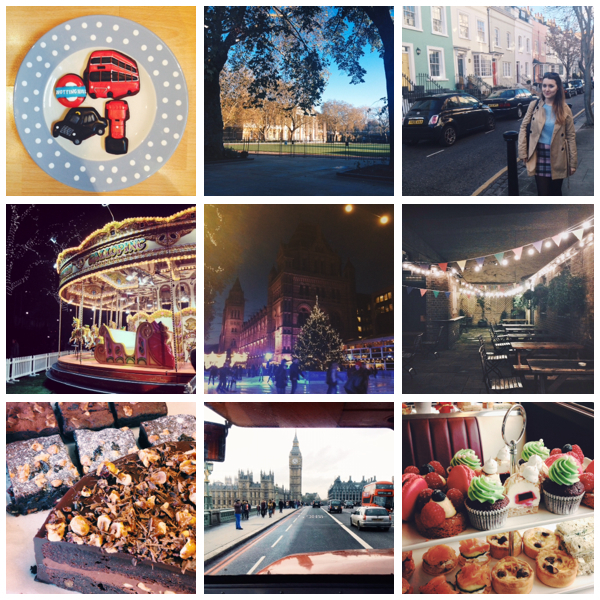 December meant it was nearly Christmas so I made sure that I fit in as many festive photos and activities as possible! I started off the month by making homemade mince pies with my mum, they were so much more delicious than any other ones you can buy in the shops. I'd highly recommend making your own next year! I caught up with one of my good friends from university and we had a great matter over afternoon tea at Bills in Covent Garden, it only costs £9.95 per person which is such a bargain! Seeing as Christmas time is all about spending with the ones you love, I made sure I spent a lot of time with my friends. So I caught up with two of my favourite ladies to have our annual present exchange, I was spoilt rotten by the pair of them. Finally the month was finished off by hosting my own pre-New Year's Eve drinks! I'd not done something like this before so I was feeling a little bit nervous, but everyone seemed to enjoy themselves (this might have been due to my friends selfie stick), and I'd love to do something like it again next year. Thanks so much, I hope you had a nice Christmas! Amazing post! I love your use of photography. Your Xmas was so cute!!! 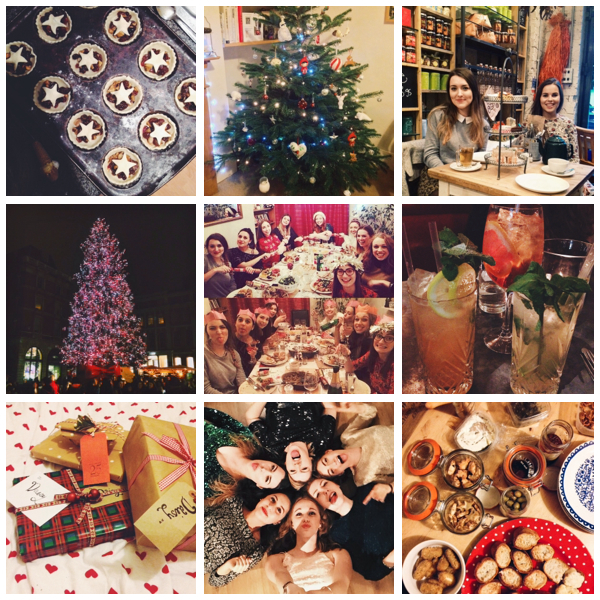 These photos are absolutely gorgeous, it looks like you've had a fantastic few months! I only recently stumbled across your blog, and I already absolutely adore everything about it. Thankyou so much for such a lovely comment! I'm so glad you like it, that's made my day! what app/website do you use to make your square collages?